HOLIDAY CLUB The Holiday Club runs today from 10:50am-12noon and will meet in the hall for games, crafts, snacks and loads of FUN! Sunday Club resumes on 26th August. BREAKFAST CLUB Breakfast Club for nursery and primary children will resume at 10.20am on Sunday 26th August. Informal prayer time before the morning service Come along when you can, leave when you want: for ten seconds or ten minutes. Prayer and reflection time in the hall posh room every Sunday between 10.15 and 10.45 a.m. (Psalm 65:2) Because you answer prayers, people everywhere will come to you. HOLY COMMUNION On Sunday 2nd September we will be celebrating the Sacrament of Holy Communion at our morning service at 11.00am and at our evening service at 6.30pm. The Kirk Session are asked to meet in the small hall at 10.45am prior to morning worship. KIRK SESSION The Kirk Session will meet at 7.00pm on Thursday 23rd August in the Church Hall. Minutes and agendas are available to uplift now. Elders who have elected to receive them by email should now have them. WYVIS HOUSE The next service at Wyvis House will be at 4pm on Sunday 26th August. All are welcome to come along. LONG SERVICE Jeannette Cameron, Steve Green, Esmary Neilson and Hugh Steele were ordained as elders on 21st August 1988. We give thanks and praise for their service of the past thirty years. We pray for Esme and Steve who are no longer able to come to Ferintosh from Grantown-on-Spey and Fodderty respectively and wish them both well. We give thanks for Jeannette and Hugh who continue to perform many duties for this congregation. GIFT DAY 2018 It has been agreed that our Annual Gift Day will be held on Saturday 8th September between 10am and 12 noon. Invitation letters will be issued shortly. NEWSLETTER The next edition of the Ferintosh Focus Newsletter will be published next month. All articles and features should be with the Editor by 14th September please. MAN FRIDAY You are invited to the Resolis and Urquhart Man Friday evening on Friday 31st August in the Culbokie Church Centre when the speaker will be Mr. Ramsay McGhee on ‘an illustrated musical quiz’. The evening starts at 7.15pm for 7.30pm and finishes with tea and refreshments. On this occasion the invitation is also extended to ladies. KILLEARNAN FLOWERS Killearnan Parish Church are holding a Flower Festival over the weekend of 24th to 26th August. The Church will be open between 2-4pm on Friday 24th, 10am-4pm on Saturday 25th and 2-4pm on Sunday 26th followed by a Songs of Praise at 4.15pm. HIGHLAND SUPPORTS REFUGEES There are many thousands of such, including families with children, and sick and disabled people, who came from Syria and many other war-torn countries two years or more ago and are still living in camps in Greece and other southern European countries, waiting for their asylum claims to be processed. Highlands Support Refugees collects a wide range of items at their Conon Bridge base in the old Ferintosh House (top of Sellar Place, next to the bowling club) to send out these people.. Items they have requested are; soap, shower gel, shampoo, conditioner, toothpaste, toothbrushes, razors, moisturisers, baby wipes, nappies, “adult nappies”, sanitary towels. 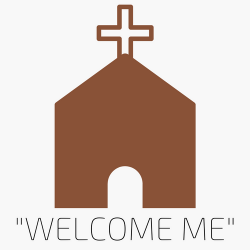 Please place any donations in the crates which will be placed in the Church vestibule throughout July and August. HIGHLAND FOODBANK Each week people are given help with food to feed themselves and their families having been referred to the Foodbank. Without your donations people would have to go without. Please be generous. Cereals, tinned meat such as mince, corned beef, tins of vegetables such as potatoes are always welcome. Thank you. USED STAMPS There will be an opportunity to hand over all stamps collected to date on September 1st, so if you have any lurking at home, please put them in the red box in the annexe, or hand them to Janet Winchester, by the end of August. The World Mission Council will use the money raised to support day centres for disabled children and young people in Ukraine. Thank you.